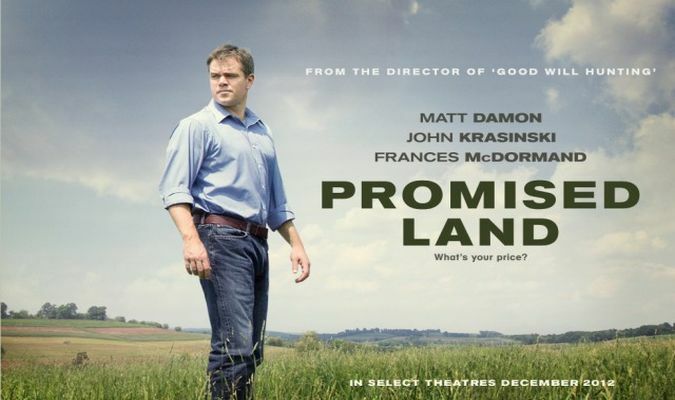 NewsBusters reported in April that Matt Damon is creating an anti-fracking film called "Promised Land." On Friday, the Heritage Foundation's Lachlan Markay revealed that some of the financing for this movie came from the OPEC nation the United Arab Emirates. "Promised Land was also produced 'in association with' Image Media Abu Dhabi, a subsidiary of Abu Dhabi Media, according to the preview’s list of credits," wrote Markay. "A spokesperson with DDA Public Relations, which is running PR for the film, confirmed that AD Media is a financier. The company is wholly owned by the government of the UAE." This is a rather startling revelation. As an OPEC nation with huge oil reserves, it is in UAE's best interest to do whatever it can to reduce the oil supply of its competitors ESPECIALLY America which just so happens to also be the world's largest energy consumer. An end to hydraulic fracturing in the United States would help accomplish this. Beyond this, as fracking promises to produce significant amounts of natural gas for the U.S., this will act to decrease the demand for petroleum products domestically and worldwide. For UAE, this would be doubly bad news as it is also the world's seventh largest producer of natural gas. As such, attempting to kill fracking in America by financing Damon's propaganda seems just what the doctor ordered. As for Damon, I wonder how he feels taking foreign oil money to destroy American industry and jobs. Making matters worse, the film is full of so many falsehoods, Phelim McAleer reported Tuesday "the script’s seen some very hasty rewriting because of real-world evidence that anti-fracking activists may be the true villains." According to McAleer, the reworked plot suggests "anti-fracking fraudsters are really secret agents employed by the fossil-fuel industry to discredit the environmental movement." That's pretty funny since Damon in real life is an "anti-fracking fraudster" employed by an OPEC nation to discredit fracking.